If you are thinking of beginning a blog, getting started can be an exciting but daunting adventure. Some scary thoughts that might cross your mind as you contemplate stepping into the blogosphere are – what you are going to write about and will anyone want to read what you have written? Find a topic for your blog and stick to it. Nothing is worse than creating a blog about a specific theme, than straying and writing about other irrelevant stuff. Keep things to the point – try not to ramble on too much – and make sure that you write about meaningful topics to capture your readers’ attention. The issue of blogging about something that you are passionate about has been beaten to death over recent years – but nonetheless it’s worthy of mention again because it’s so true. If you are not really interested in your blog’s theme, it’s tough to write for months on end about the same topic, and it will show in your writing. Have an about page so that new readers can easily and quickly find out what your blog’s theme is. Try to select a topic with a broad enough scope, so that you don’t run out of things to write about in just a few months. You aren’t writing a school essay or an academic paper, so blog using an appropriate style. Many blogs are written using a conversational voice. Treat it like a casual conversation you might have with a friend over lunch and coffee at your local cafe. After launching your blog and writing the first ten or so posts, you will start to find your own unique writing style. If you are stuck for ideas on how to write a blog post, read some prominent blogs in your chosen topic and get a feel for how to put a blog post together. Be creative with your blog posts and use different formats. Examples of this include how to posts, list posts, top things to do type posts, and blog posts that specifically ask for readers’ feedback. Use catchy headlines to grab your readers’ attention. Once you have your reader’s attention, you have to hold on to it – so as well as using a catchy heading, you will need to write some good content at the beginning and in the main part of your blog to keep their attention. Put your best stuff first and foremost. 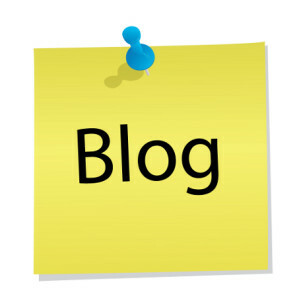 The length of an average blog post is around 300 to 600 words. As a general rule, try to keep you posts brief and to the point. In today’s low attention span world, it’s hard to grab someone’s attention for more than a few minutes. However, there may be occasions that call for writing longer posts on your blog – examples of such occasions include writing a comprehensive blog post series or reviewing a product. Remember, we are all just ordinary people, but we all have the potential in us to become extraordinary bloggers.